Last week, the online publication Bioinform from GenomeWeb released a 850-word article about VIZBI 2011. A subscription is required to access the full article. VIZBI 2011 poster prize winner! 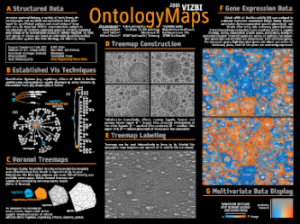 The winner of the VIZBI 2011 poster prize goes to Jörg Bernhardt (E.M.A.-University Greifswald, Germany) for his poster titled ‘OntologyMaps’, co-authored with Henry Mehlan, Julia Schüler, and Michael Hecker – congratulations Jörg!